"Facepalm" is a term that appeared in the early 2000s. It describes the gesture of hiding the face with the palm of the hand as a sign of shame, exasperation, consternation or embarrassment. A gesture used in the arts for centuries and currently in common usage (for instance with an emoticon face), the “facepalm” has its roots in the idea of a vision of horror that has become unbearable, acts found excessive, unspeakable. 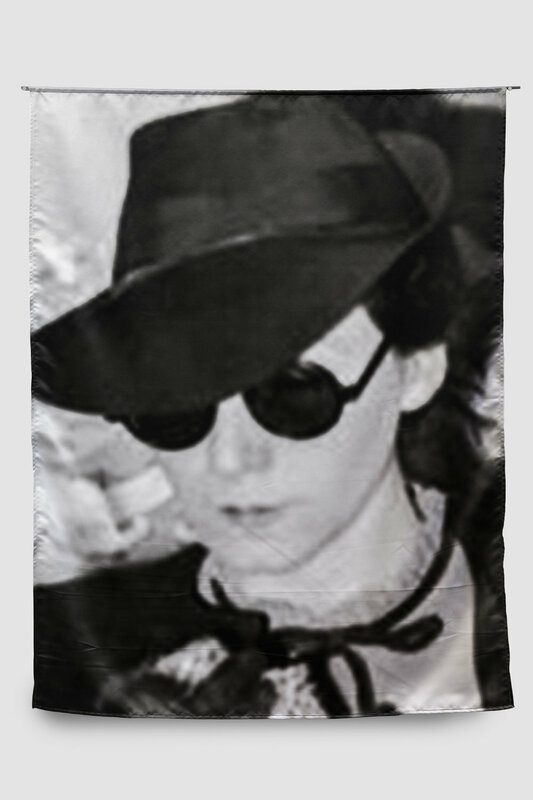 Facepalm is a project displaying six portraits obtained from the Chicago Tribune digital archives of women hiding their faces from the incisive flashes of reporters at the Cook County courthouse in Chicago during the period of Prohibition. In the work each woman is presented in close-up utilizing a photographic act of reframing on their vulnerability, followed by being printed on a shinny satin fabric which has collected the imprint. The off-camera zone of the original image is absent exerting a certain pressure on the subjects. There is no evocation of saints here, it is a matter of women hiding their shame in the face of the crimes they have committed. Often victims, they became guilty because the act was deliberate but often desperate.